I received a call from a University of Queensland student on Monday night. I am a sucker for these calls. It reminded me of the type of calls I receive from my alma mater, the University of Wisconsin. This call from University of Queensland was superb. The student, a female, thanked me repeatedly for my generous support of the university. She asked me why I give to the university, noting I am not a graduate of the university. Again, she thanked me for my support. She then confirmed, edited, and enhanced my contact details. Finally, she told me about an emergency fund, “Greatest Needs”, to help students in financial crisis and discussed the ways in which this fund helps students to remain in school rather than exit, before graduation, due to financial crisis. She asked me to support the university once more by making a gift that night. I gave. I gave because of the quality of the call and because this caller convinced me University of Queensland cared about my support, cared enough about me to check the data in their database and to keep it up to date, and cared enough to educate me about the emergency fund. I was convinced I needed to open my wallet and commit to giving again. Further, the call was not just about the next gift. The call was about stewardship, about data quality and, then, about fundraising. This multifaceted call proved to be a good use of University of Queensland resources and of my time. The call from University of Queensland hit all the marks. Remember when you were a child and you loved it when your parents read you a book? You would listen to the story, but you really paid attention to the pictures. As adults we are really not much different. We appreciate the words in document, but we also value the pictures. As the 1971 Rod Stewart song is titled, Every Picture Tells a Story. 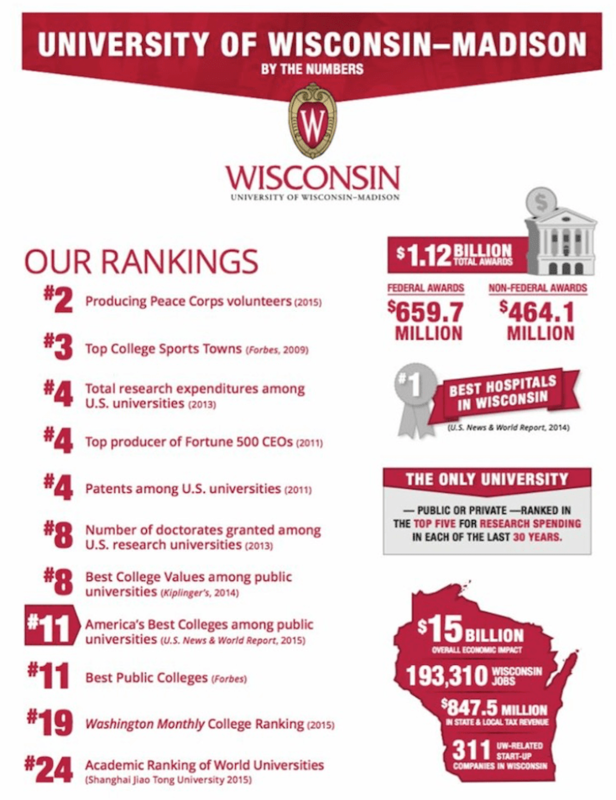 The University of Wisconsin, my alma mater, recently sent an electronic communications to alumni to highlight recent university rankings. They used an infographic to highlight the terrific standings. Each year, U.S. News & World Report rank the nation’s universities and the University of Wisconsin typically ranks in the top tier in a variety of areas. People love a winner and promoting these rankings offers an opportunity for Wisconsin to tell us how valuable our degree is in present day, as well as an opportunity to prove the money we are investing as alumni is paying dividends. Further, universities use this as an opportunity to attract new fundraising or additional gifts from those of us who may have already given this year. How is your non-profit organisation using infographics to tell your story? You likely already have information together to tell a donor care or stewardship story. You likely put this type of information in writing. Why not translate it to an infographic, as well? Remember adults are pretty split in terms of absorption of information. Some adults learn by reading text and others by visual representation. Play to both audiences to be sure you capture the attention of the majority. For universities in Asia-Pacific, U.S. News & World Report announced a global edition of the rankings as coming 6 Oct! Perhaps your alma mater or perhaps your university employer will be listed in this global edition. How about a shout out to the University of Wisconsin for their outstanding achievements and for ranking so high amongst US universities? On Wisconsin! McGrath Foundation was featured on 60 Minutes last evening. 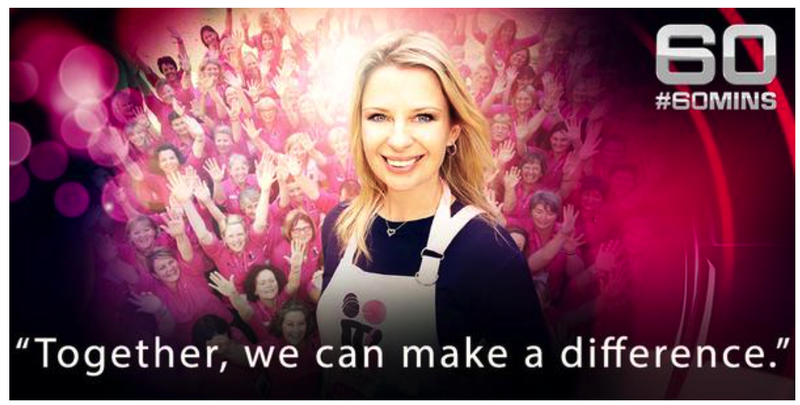 The heartwarming story took viewers through the ten year history of the Foundation and featured the growth of the organisation from four breast care nurses, when Jane McGrath died in 2008, to 105 nurses today. For me, the story was about the hope McGrath Foundation offers the women who rely on the breast care nurses across Australia. 60 Minutes also helped viewers to understand the impact of philanthropy and the power of a community following the lead of one inspiring woman. It’s not everyday that a charity we know and love is featured on 60 Minutes. I especially appreciated the call for donations 60 Minutes featured on Twitter immediately after the broadcast. The non-profit sector is a sharing sector. Whether it’s benchmarking, conferences, webinars, professional development sessions, or blogs, there is ample opportunity for sharing in the sector. This cross-sector sharing allows for some to shine and others to learn. What have you done this week to either share information or to soak up some knowledge? I attended the FIA Webinar presented by Fran Connelly from FC Marketing. Fran shared her knowledge on market readiness for NDIS. Later that afternoon I led the Study Group for candidates preparing to take the Certified Fundraising Executive (CFRE) examination. In a few short hours I was able to learn a good deal from the FIA Webinar and also offer my knowledge in the CFRE session. Take time this coming week to offer your knowledge and to also gain some new information. Give some/take some to ensure the non-profit sector remains a sharing sector. I took money out of a Bankwest ATM yesterday. Using a Bankwest ATM is a first for me. I would not normally use Bankwest except for the fact I learned the bank is affiliated with Commonwealth Bank of Australia, which is my bank. When I received the receipt from the Bankwest ATM machine, the back of the receipt surprised me. It read “Starlight Children’s Foundation proudly supported by Bankwest Foundation. Why did this surprise me? 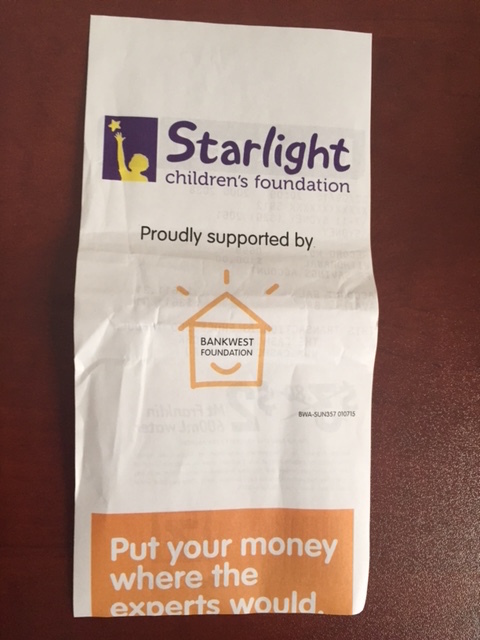 Rarely is anything printed on the back of an ATM receipt and it was nice to see the partnership between Starlight Children’s Foundation and Bankwest promoted. 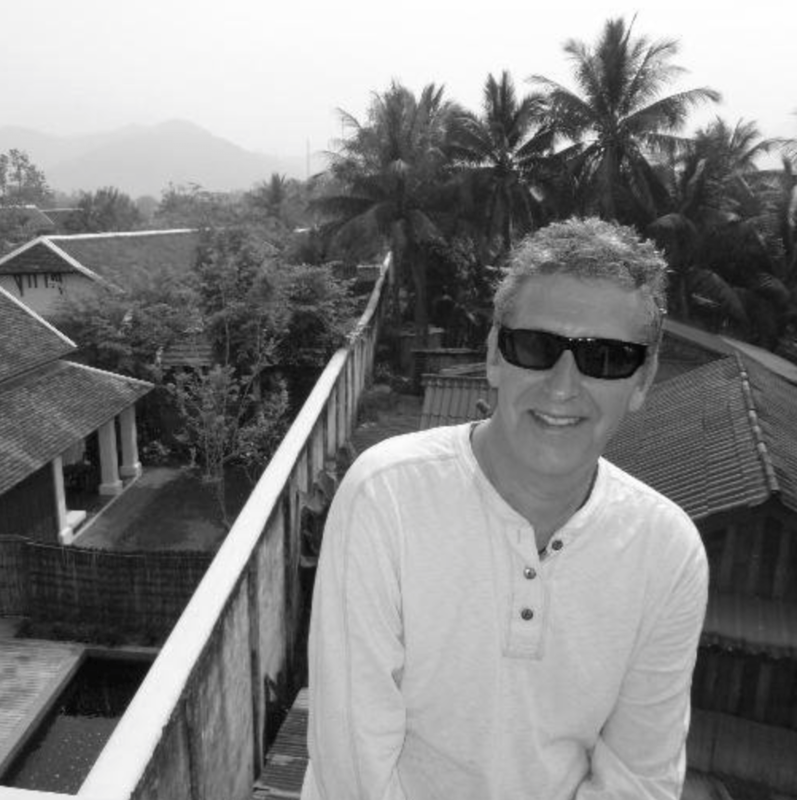 Last week I wrote a travel audience is a captive audience. I would suggest an ATM audience is also a captive audience. Congrats to both Bankwest and Starlight Children’s Foundation. Australia NFP Telemarketers – matching staff to demographics of call audience? Are telemarketing suppliers hiring callers to better match the demographics of most charity donor files? I am likely to be on many charity mailing and call lists. I receive calls to purchase lottery tickets and to make one off or to join regular giving programs. I have received some really solid telemarketing calls lately. The caller sounds to be, in my estimation, older and more seasoned than telemarketers of yesterday. While I cannot see the actual telemarketer, they sound more mature and closer to my age rather than half my age. Additionally, the call is about me, my past support, why they need my support now, and how my support can make a difference. 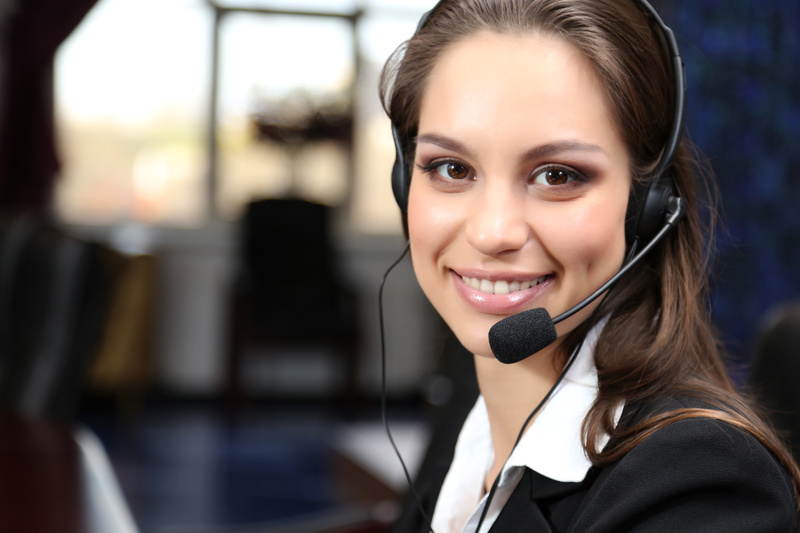 It is not often that telemarketing firms receive compliments. But, I have been tweeting about many of the calls I have received lately. The callers are engaging, charming, and convincing. In fact, I have become such a good target for these calls and tend to make a donation, become a regular giver, and/or buy lottery tickets simply because of the way the caller handles me on the call. Kudos to the telemarketing firms who appear to be hiring callers who are of similar demographics of their target audience. Even bigger applause to them for the training, which must be underway to ensure better quality results for charities. Earlier this week, I wrote about an initiative underway by US telecom T-Mobile. In this post, I highlighted the win/win for T-Mobile and a charity, The Edens Project, which has a cascading effect on the people of Haiti. In an additional post, yesterday I wrote about a captive travel audience and initiatives, which may capture our attention as we fly or stay in accommodations. When I checked into the Doubetree Melbourne this week I learned about The Very Special Kids Rooftop Garden at the Doubletree on Flinders Street. This garden offers sustainability and also a learning experience for kids to care for various plants in the garden. The garden also provides fresh produce for the hotel’s restaurant. Created by a Purpose Action Grant from Hilton Worldwide, the grant offers a local solution to strengthen the quality of life for the community. What is Very Special Kids? Very Special Kids is a hospice for children with life-threatening conditions. Source of food for restaurant goers at the Doubletree Melbourne. Teaching children plant care and to care for their environment. Fundraising for Very Special Kids. The rooftop garden is the gift that keeps on giving. I look forward to seeing it on a future stay at the Doubletree Melbourne. On a flight last week from Sydney to Melbourne, I was reminded by the fact that Virgin Australia does not seem to be promoting an adopted charity or a set of non-profit organisations in flight. Don’t get me wrong. I love Virgin Australia and I have since my first flight on them 7 years ago. My loyalty for Virgin will not waver. Yet, I wish Virgin Australia promoted charities in the way their Qantas counterpart promote UNICEF. Qantas flight attendants ask people to give loose change to UNICEF and they collect the donations on board. Sure, Virgin Australia give to charity and likely give generously. But, why don’t they promote their giving, educate us, and get passengers involved in their philanthropy? Travellers are captive audiences. Companies and charities have our undivided attention. In a plane, where else are we going to go? And, we are in a hotel room for at least a night. Travel companies and charities ought to work together to promote partnerships. By doing so, they will do “good” for one another. It’s a win/ win for the charity and for the travel company. Gamification. What is it and what’s it got to do with philanthropy? Bob Jacobsen can tell us. Jacobsen works for T-Mobile, a global telecommunications company, as their Senior Manager of Travel. In this role, Jacobsen is charged with incentivising T-Mobile employees to book travel smarter and, ultimately, to save the company money. He realised his audience is diverse in age and, as a result, their approach to the topic is different from one another. Enter gamification. Just for one second, measure this impact. A T-Mobile employee books smart travel and earns points. Those points pay for trees to be planted in a devastated and impoverished nation. Those planted trees earn farmers and planters money to send their kids to school. T-Mobile delivers on its sustainability goals. It’s the gift that keeps on giving. Each of us in the non-profit sector seeks to make a difference day in and day out. Bob Jacobsen and the people of T-Mobile have made a big difference. The staff created a model for others to follow. Isn’t this what philanthropy is all about? It’s Include a Charity Week in Australia. Charities nationwide are pushing the message to donors to include their charity in their wills. 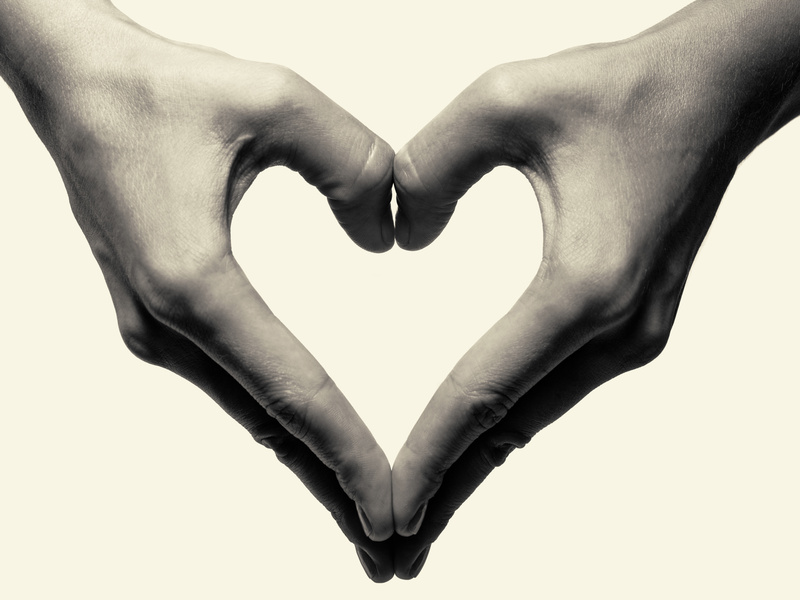 If you work for a charity and are not aware of what the Include a Charity campaign is about – the Include a Charity campaign is made up of over 100 of Australia’s charities, all working together to encourage more people to include gifts in their wills to their favourite charities. Now part of Fundraising Institute Australia, Include a Charity works hard day in and day out to increase awareness of bequests programs in non-profit organisations. Include a Charity Week promotes their good work and gives charities a way to work together to increase awareness and visibility of bequests.